City and Industrial Development Corporation (CIDCO) has announced a latest recruitment notification to recruit Assistant Engineer, AE telecom, Junior Planner, Field Officer Architect, Accountant, Field Officer general, Stenographer, Fire Station Officer and Sub Officer posts. Candidates who are eligible and interested they can apply online mode by visiting official site of CIDCO before last date. Candidates also check other details related to CIDCO Recruitment 2016 like how to apply, selection process, Eligibility, Previous question papers, model papers, syllabus and more information is given below. CIDCO has released a new recruitment notification in June 2016 to recruit Assistant Engineer and Field Officer posts. 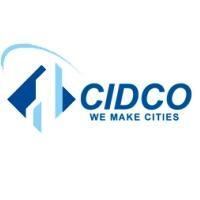 Below are the details of CIDCO Latest AE recruitment 2016. Check more details at PDF file given below. Educational Qualification: Graduate Degree/ B.tech in Related discipline from recognized board/ University. Assistant Engineer Online Test divided in Four Parts they are English, Professional Knowledge, General Knowledge and Test of Reasoning for 200 marks.